If you love wine and want to experience authentic Spanish wine. 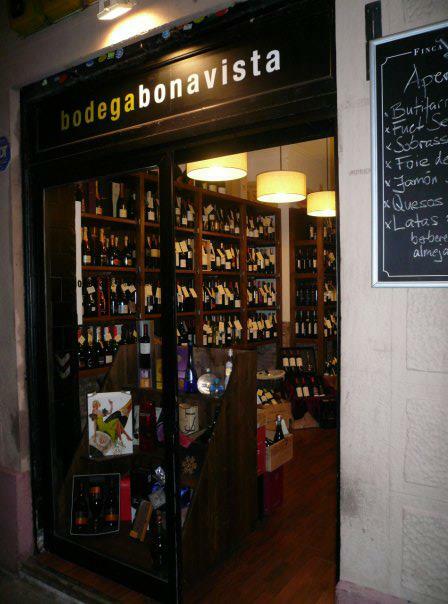 Visit Bodega Bonavista. On Career de Bonavista here in Barcelona. BB is a chic wine and delicatessen located in La Vila de Gràcia. They offer a wine selection on Catalonia and Spanish wines and are broadening their scope to include wine from other countries, especially France. Like most of the people and places we promote with Gastronomic Madness, Bonavista looks for the relationship between quality and price and finding a balance between the two. The people at Bodega Bonavista offer insight into wines that will match your personality, palate, and occasion. And will leave you fully satisfied. To learn more check out the facebook and website.